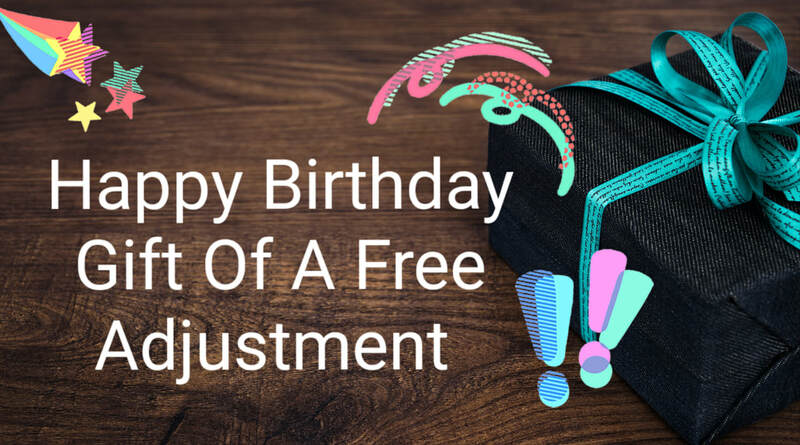 Peak Chiropractic would like to give you the Gift of a Free Adjustment for your birthday. Because it is your birthday and the day should be all about you we want to help you pamper yourself on your special day. You can cash in on this coupon any day during the week of your birthday just call by clicking the call now button or fill out the form and we will call you to set up your complementary adjustment. If there is any reason you can not make it in the week of your birthday please call and we will figure something out. It is so important you always remember you too deserve to feel amazing and what better way than to get your body aligned and having a few min of zen on the roller bed! Have a wonderful Birthday!